Whoohoo! I've been waiting YEARS for this to finally come out! The first three books in this series were absolutely fascinating, and this should prove no less so. 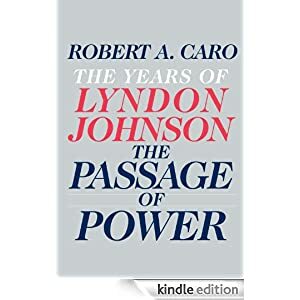 Robert Caro's access to LBJ was unprecedented, and he reveals Johnson with a brutally frank eye. If you grew up in Chicago, you won't get that little number out of your head for days. I blame Mike, who drove me right by the Holsum outlet on Milwaukee New Years Day and teased up that morsel of nostalgia from the back of my psyche. Consider yourself lucky that I couldn't find it on Youtube.